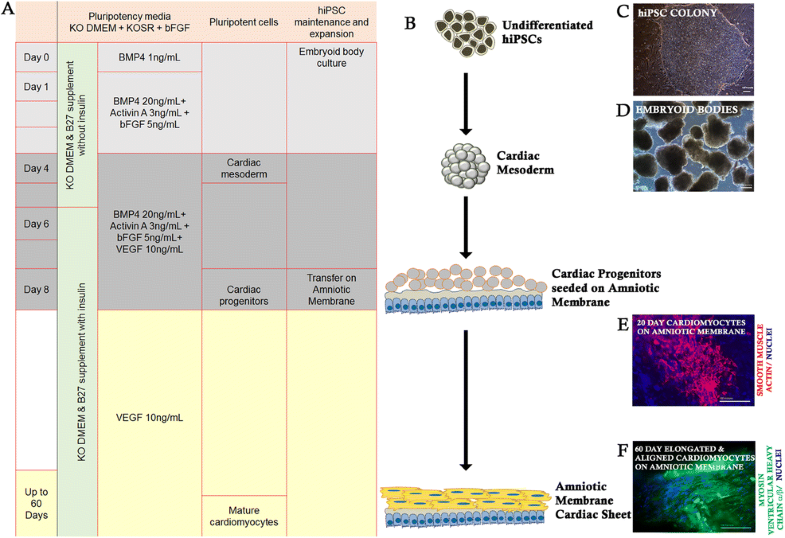 Recent approaches of using decellularized organ matrices for cardiac tissue engineering prompted us to culture human-induced pluripotent stem cell (hiPSC)-derived cardiomyocytes (CMs) on the human amniotic membrane (hAM). Since hAM has been used lately to patch diseased hearts in patients and has shown anti-inflammatory and anti-fibrotic benefits, it qualifies as a cardiac compatible and clinically relevant heart tissue scaffold. 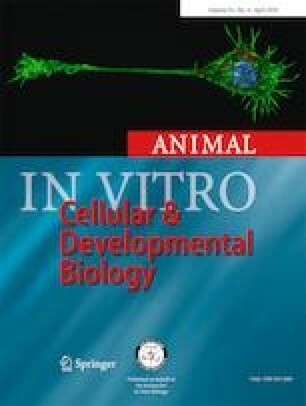 The aim of this study was to test the ability of the hAM to support attachment, differentiation, and maturation of hiPSC-derived CMs in vitro. hAMs were prepared from term placenta. An in-house generated hiPSC line was used for CM derivation. 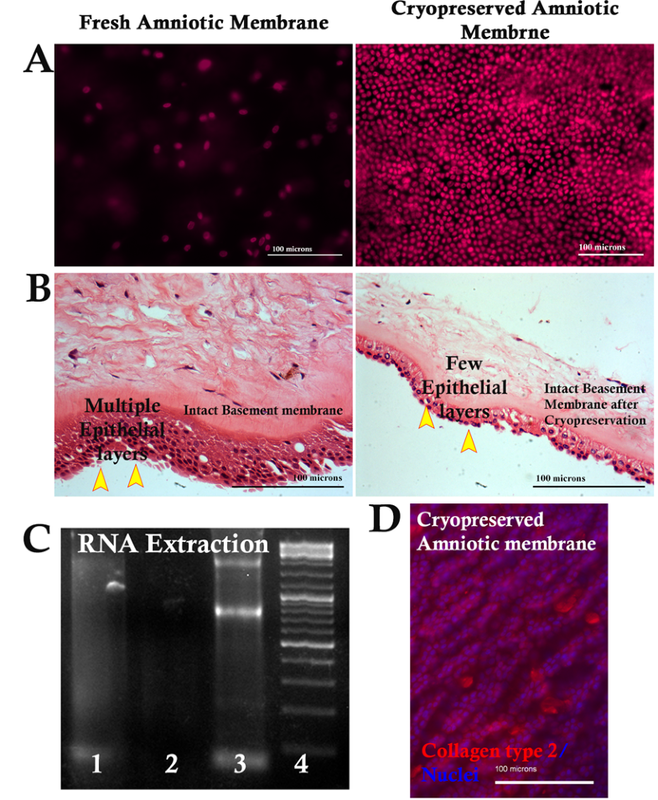 hiPSC-derived cardiac progenitors were cultured on the surface of cryopreserved hAMs and in the presence of cytokines promoting cardiac differentiation. CMs grown on hAM and popular basement membrane matrix (BMM) Matrigel™ were compared for the following aspects of cardiac development: the morphology of cardiomyocytes with respect to shape and cellular alignments, levels of cardiac-related gene transcript expression, functionality in terms of spontaneous calcium fluxes and mitochondrial densities and distributions. hAM is biocompatible with hiPSC-derived CMs. hAM increased cardiac transcription regulator and myofibril protein transcript expression, accelerated intracellular calcium transients, and enhanced cellular mitochondrial complexity of its cardiomyocytes in comparison to cardiomyocytes differentiated on Matrigel™. Our data suggests that hAM supports differentiation and improves cardiomyogenesis in comparison to Matrigel™. hAMs are natural, easily and largely available. The method of preparing hAM cardiac sheets described here is simple with potential for clinical transplantation. 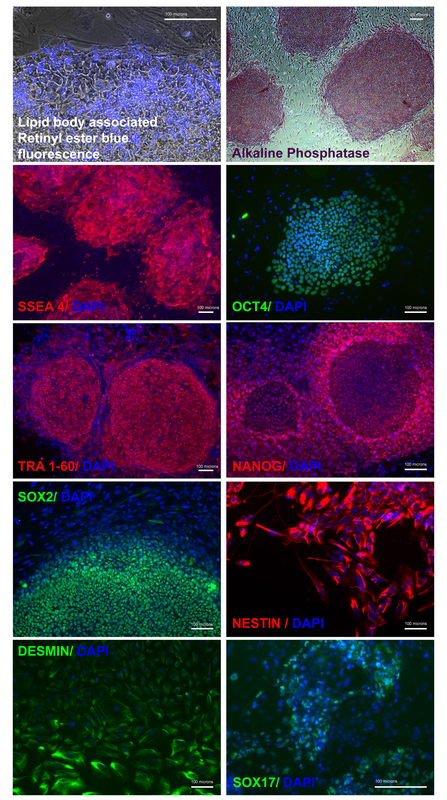 A An outline of the differentiation protocol with stage-specific growth factors and culture media used. B Cell fates from pluripotent stem cells to cardiomyocytes during differentiation on the amniotic membrane. C-FPhotomicrographs of cells at various stages of differentiation. Scale bars represent 100 μm. The online version of this article ( https://doi.org/10.1007/s11626-019-00321-y) contains supplementary material, which is available to authorized users. We would like to thank Dr. Jyothi Prasanna (SORM) for contributing amniotic membranes used in the study. MMP acknowledges the support of NCBS (TIFR). The study was supported by a CSIR grant (no. 27(293)/13 EMR II) and funds from MAHE. SPS and MMP were supported by funds from NCBS (TIFR). SP designed and carried out the entire study. SPS performed confocal microscopy, helped to develop and carry out the calcium imaging, MMP provided the microscopy facilities, experimental input, and comments on the manuscript, and PKG provided comments on the manuscript and discussion.